Some of our favourite sale stories from 2018. After being held by the same family for 177 years, the 905-hectare Calcannia has been sold at auction for $11.65 million. Located about seven kilometres north of Clare, the property attracted significant pre-sale interest from all states and even New Zealand, before being knocked down to the Sparks family, Munduney, near Spalding – setting a price per hectare record for the Clare Valley. Standout New England property Tenterden Station has sold under the hammer for $17 milllion at a Ray White Rural in Sydney. Bidding opened at $9m rising quickly to $15m before heading to the ultimate price, with some 26 bids recorded. Three of the six registered bidders were active during the auction. The Guyra property was bought by Miramar Trust and Riverslea Trust representing two Surat faming families. The property was offered by Jim Knox, Avoncliffe, Guyra. Tenterden comprises of 1501ha (3708 acres) of highly developed grazing land. The price is equal to about $11,326/ha ($4585/acre). Infrastructure comprises of substantial machinery and hay sheds, four silos, two sets of modern undercover cattle yards and a three stand woolshed with attached undercover sheep yards.There are three well maintained homes. In addition, the original homestead site and framework is preserved. About 1300ha is developed and sown to pasture. The pastures are supported by the 870mm average annual rainfall plus an equipped centre pivot operating from three hydrant points. There are 600ML of water entitlements. The marketing of Tenderden Station was handled by Andrew Starr and Bruce Birch from Ray White Rural. The historic 8738-hectare eastern Riverina aggregation Lake Midgeon has sold. The sale was made through a tender process, although the price remains confidential. Ray White agent Geoff Palmer, however, said it was the most significant sale in eastern Riverina, having attracted 16 interested parties in the sale campaign.Lake Midgeon dates to the 1860s and was the relocated homestead and working centre of the 240,000-hectare Narrandera Run, held by colonial politician and land speculator Edward Flood. It has since had a rich pastoral history and is now a modern cropping, cattle, sheep, wool and lamb production aggregation of typically flat freehold land spread over four lots.The four lots, the 5619-hectare Lake Midgeon, North Berembed at 2064 hectares, the 643-hectare Summerleigh and Lismoyle sized at 411 hectares were sold separately. The new buyers of each of the lots will be using them to expand existing sheep and lamb holdings, and to continue the growth of broadacre farming in the region. Since the 1860s the station had undergone many changes in ownership. It was taken over in 1898 by Albert Austin, co-owner of the Wanganella merino stud and a string of other properties across NSW and Victoria, and remained in Austin hands until 1949. The newly departed owner of the properties was Sally Davies, who sold it for the Davies family. The property was also put up for sale in 2010. The developed country has prolific stands of buffel, native grasses and herbages in season. There is also 1457ha of cultivation. The carrying capacity is estimated to be 3000 backgrounding cattle. The marketing of Moira Runda was handled by Bruce Douglas and Mark Schwerin from Ray White Rural. Geoff and Dalrae Shaw’s versatile Rockhampton district property Comanche has sold under the hammer for $15.7 million to the Canberra-based, Rural Fund Management, at auction in Rockhampton. The auction opened at $11m with the opening bid coming straight from the floor with eight registered bidders operating. The property was placed on the market when bidding reached $15.5m before climbing to the knocked down price. He said the selling agents had carried out 24 inspections prior to auction. Located in the Glenroy district 86km west of Rockhampton, the 7599 hectare (18,778 acre) freehold property has a 9km frontage to the Fitzroy River. The country is described as a mixture of frost free softwood, brigalow and belah scrub and alluvial river flats. The property has been developed to buffel, panic, Rhodes, seca, amigo, siratro and butterfly pea. Comanche has three centre pivots, which are sown to Cunningham leucaena.About 1000ha had previously been cultivated. About 170ha has now established to leucaena with the balance returned to pasture. About 2000ha has been sticked raked since 2015.Comanche has 864ML water allocation from the Fitzroy River servicing three centre pivots, which are sown to Cunningham leucaena. The feedlot comprises of 10 feed pens and a milling complex with a commodity shed, 3500t silage pit and 1200t of grain storage. The feedlot pens are connected to the 1000 head capacity set of steel cattle yards by a laneway. Comanche boasts an architecturally designed lowset home set in a picturesque setting overlooking the Fitzroy River flats and ranges. The auction of Comanche was marketed by Mark Simpson, Ray White Rural. “Norwood” has been developed into one of Blackall’s standout cattle enterprises, with an estimated carrying capacity of 3,000 steers to bullocks. A true working cattle property that has stood the test of time and has been in the one family for 80 years. Some 8km* west of Blackall off the Landsborough Highway, the 21,377.98ha* (52,825* acres) is freehold on 23 titles of primarily gidgee and boree scrub country that has been thoughtfully developed growing good stands of buffel grass with areas of mitchell grass downs. Two capped artesian bores disperse water to troughs and cup and saucers. Cattle yards with undercover work area, air operated cattle crush and calf cradle. There is a five bedroom homestead, two cottages, machinery shed, five stand shearing shed and workers quarters. Located south west of Broomehill in the highly regarded Flat Rocks District with a reliable 450mm ave annual rainfall, Sorrento is close to the major service town of Katanning which has all the necessary amenities including the livestock selling centre.Gently undulating country with excellent soil types ranging from red granite loams to medium Wandoo loams make this property suitable for broad acre cropping and livestock production. At the time of sale it was running 3,000 head including lambs with 1,600 hectares planted to wheat, oats, canola and lupins. 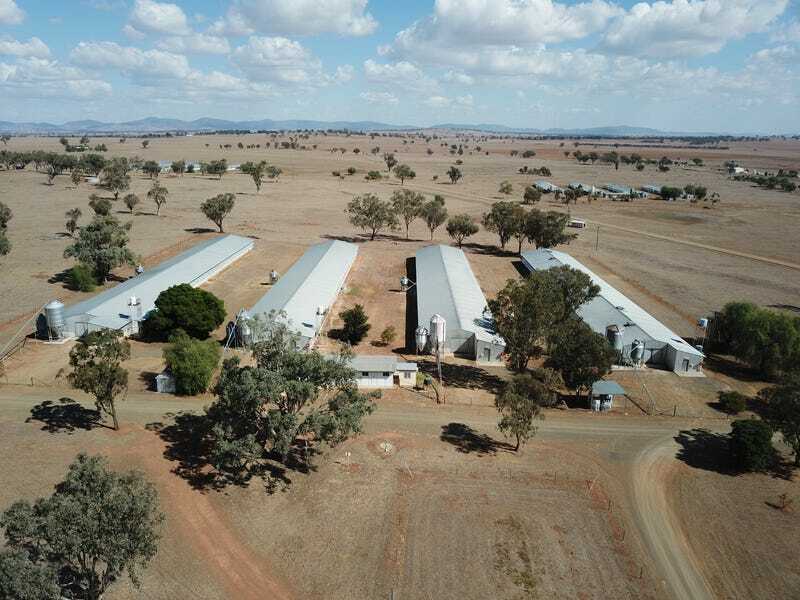 The property includes a full complement of farm buildings including 4 stand shearing shed, large machinery shed, fertilizer shed, three GP sheds, two Flexi-N tanks and numerous silos. 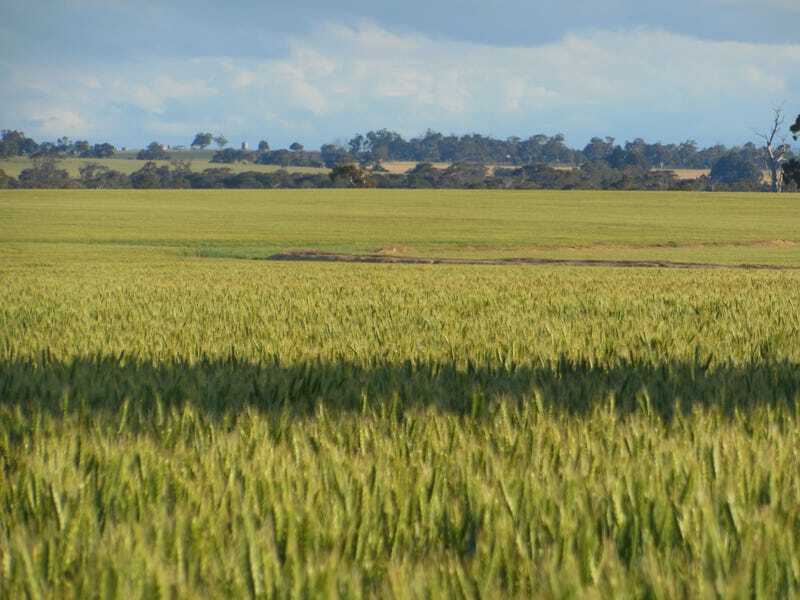 Quality property in a tightly held area, on approximately 6000 croppable acres.The land is gently undulating, with a mix of high yielding soils consisting of yellow sand plain, gravelly loams and York/jam country, with well watered with bores, and soaks, abundant supply and reticulated throughout. A full compliment of buildings including 100 x 60ft workshop/machine shed with 100 x 25ft lean to, 4 stand shearing shed with raised board, 50 x3 0ft fertiliser shed, numerous silos and 3 bedroom house. 400ml rainfall area generally very reliable, property adjoins the Marchagee grain depot. Riverbends is located 42kms north west of Kojonup on the Kojonup-Darkan road and has frontage to the Arthur River on its eastern side. The property has been digitally mapped with approximately 902 hectares considered croppable and the remainder is grazing with areas of tree plantation. The country is undulating with the soil types being mainly medium gravelly loams and some lighter sandy loams. These lighter loans are where the majority of the plantation trees have been planted. Original vegetation for the area is Wandoo, Jam, Red gum, River gum and Sheoak. The vendors had been concentrating on sheep and wool production over the past few years with a minimum of cropping which should be seen as an advantage for future livestock or cropping production. he property is located in a very reliable rainfall area of the state and is suitable for various forms of agricultural pursuits.